Dr. Samadani’s goal is to provide the best care humanly possible for her patients. She also believes that research can improve patient outcomes and offer greater options to people who would otherwise have relatively few. “I am honored by the trust that my patients place in me and will strive to always be deserving of that trust," she said. Although Dr. Samadani has broad surgical capabilities as a general neurosurgeon, she has a primary interest in cranial neurosurgery and a research interest in traumatic brain injury and hemorrhage. 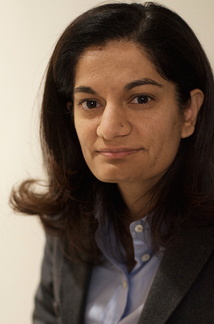 She has expertise in image-guided minimally invasive surgical techniques.